If you are planning to move anytime soon, step one is to get rid of anything you don’t want to take to your new house. It takes too much time and energy to pack boxes and move them to only to decide you don’t need it when you pull it back out. Here is how to decide what to keep, what to donate, and what to toss. 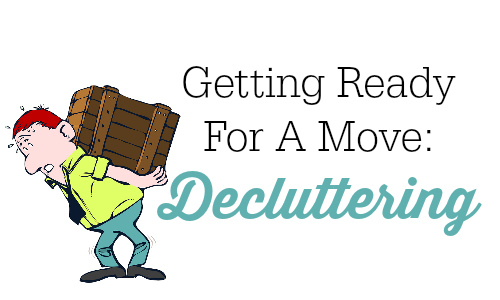 To get ready to attack the clutter, grab two boxes and a trash bag. One box is for items to donate (this should be a big box), one box is for items to keep, the trash bag is for things that need to be thrown away. When you start to go through items you need to have somewhere to put them so before you start to sort things, grab your tools. The longer you live in your house, the more stuff you accumulate. It can be completely overwhelming to think about everything in all of the rooms, attic, garage, etc. To start, focus on one room at a time. When you take it one step at a time you can break it down into manageable pieces. It can also be helpful to set a timer for 15 minutes. You can do anything for 15 minutes, so set your timer and get started. Once you finish a room, grab the box of things you plan to keep. Now go through that box again. Anything you don’t love or find useful needs to be moved to the donate box. Show no mercy. If you haven’t worn it in a year, you will probably never wear it again. Anything you haven’t worn or that doesn’t fit, go ahead and donate it. Don’t spend time second guessing whether overalls really are coming back in style this year, just let them go. In terms of kids clothing, if you know another child in your household will wear it, keep it. I have five girls so unless the newborn has outgrown it, we’re keeping it. You may want to check for stains, rips, etc. that will make it unwearable, but around here we just make those items play clothes. My girls are big fans of bugs and dirt. I always find home decor tricky. I am never sure exactly what I am going to want to use in the new house. For this reason if I wouldn’t buy it that day at the store, I don’t pack it. This way when you get to your new home you’ll be able to decorate with all of our favorite things. If you are truly on the fence about something you can try to re-purpose it. A fresh coat of paint can bring new life to many items. 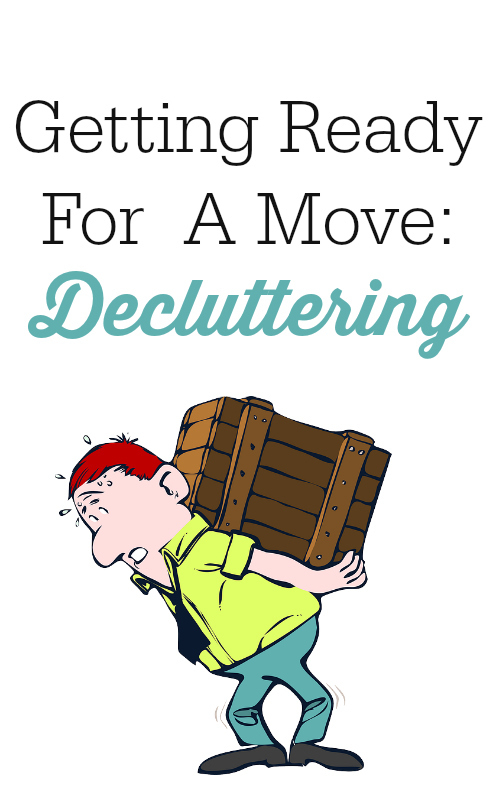 If you have been couponing to build a stockpile the thought of moving it all can be overwhelming. In my opinion, it is worth it to move it. Sort through it beforehand to donate anything you won’t use and throw away anything expired. Don’t forget to check dates on condiments and sauces that are in your fridge… two year old mayo is a no-go. Sentimental items can be one of the hardest things to sort through. All of those paintings, macaroni necklaces, and first spelling tests can get a little crazy though. It just isn’t practical to keep everything, so sort through to find your child’s and/or your favorite things. I like to keep a container for each child. I put my favorite things in that container and let the rest go. If you want to keep more items than you have space, take pictures of them or scan the artwork. You can then make a scrap book or photo book of the photos. This helps you to remember the items without requiring the space to store them. If you can’t handle throwing their artwork away, you can send it to family members or use it for other craft projects (like really fun greeting cards). How do you decide to what to keep, what to toss, and what to donate?